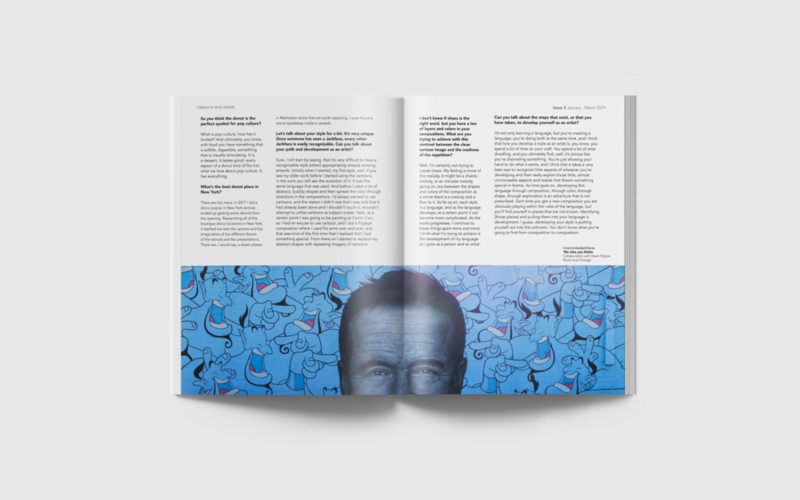 In Issue 2 we are bringing attention to the ongoing debates in the street art now, ranging from the terms to be defined to the potential and trajectory revisited. Lady Pink and Jerkface, one leading the 80s street art scene and the other a rising star today, both artists interviewed are native New Yorkers from Queens and deeply engaged with the transformation and exploration of mural around neighborhoods. Meanwhile, Libby Schoettle approaches graffiti in a much intimate language through her alter ego, PhoebeNewYork. Their respected practice and personal responses to our questions complement to the attempted scholarly discussion. To speak of dissonance and consonance in the realm of street art seems imposing on its fluidly convertible styles and forms, in a context constantly reshaped under the shifting forces of municipal policy, market trend, and contemporaneous readership. As long as they strike a chord with the interlocutor, the transformations lay a focus on the “transitional” impulse rather than the necessity to form a concrete structure. The artist’s portfolio section features Yusuf Kan Kulak and Minju Kim, two artists selected for the FRESCO’s Nova Prize open call this year. The exhibition, titled “Postmodern Miasmas,” opened on March 1 in a gentrified neighborhood that used to be Lispenard’s Meadow. Themes of the exhibition expand the dynamics of the street to a broader scope of the built urban environment. Developing from the inaugural issue last December, Issue Two invites thinking of transformations in the field as a liberated, reflexive journey. To read the full issue, click here to view as single pages and click here to view as spreads.